Step up your truck's style by getting a set of APS 4" Black IBoards. These boards come in a matte black finish and will give your vehicle a stealthy and stylish look. APS 4" Black IBoards are constructed of 6061 aircraft aluminum and resistant to rust and corrosion. 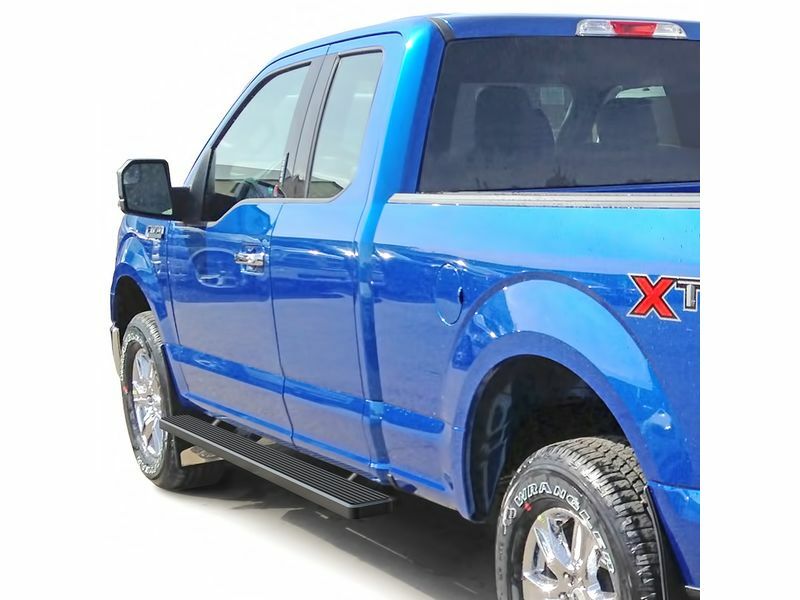 These running boards offer four holes on each mounting location providing one of the strongest board structures in the market. A step pad covers the entirety of the board providing a safe and secure step up into your vehicle. APS 4" Black IBoards offer a unique and functional appearance which is easy to clean. Simply take the water hose, spray them off, let them dry, and then they will be looking new again. APS 4" Black IBoards are easy to install and normally take under an hour to put on. IBoards have a modern, flat, low profile design that will fully complete your vehicles look and make it stand out. Add style and functionality to your ride today with APS 4" Black IBoards. APS 4” Black IBoards come backed by a one-year warranty covering all defects in materials and workmanship. APS 4” Black IBoards are easy to install and can typically be put on within an hour. Most applications require no drilling and any needed installation hardware will be provided along with install instructions.